Earth Day is a great day for slowing down and thinking about how you treat the environment. Not that you should be ignoring it the rest of the year, but it’s good to take an extra look sometimes and see what you can change, or if there are any little extra things you can do. This is something the whole family can get into. Earth Day is a good time to share with the kids and anyone else who wants to participate ways to be a little kinder to our planet. So today, I decided to round up some Earth Day activities you can do, whether on your own, with your family or anyone else. 2. Plant a tree – at your home or at a tree planting event. 4. Make a pinecone bird feeder. 5. Plant seeds in empty egg crates or tin cans. 6. Walk around your neighborhood and pick up trash, or participate in a community Earth Day event. 7. Help the kids find ladybugs and other insects. 8. Go to the beach. 9. Start a compost pile. 9. Recycled paper towel and toilet paper tube tracks. 10. Make a leaf collage. 12. Make an egg carton butterfly. 14. Let the kids dig in the dirt or mud. 16. Teach kids what can be recycled. 17. Find a way for the kids to safely walk to school. Consider a walking school bus. 18. Go to the farmer’s market. 19. Switch to a stainless steel water bottle rather than drink from single use bottles. 20. Consider which batteries you could replace with rechargeable batteries. 21. Rethink your personal care items such as shampoo, makeup and so forth. 22. Find ways to eat less meat. Want more ideas? 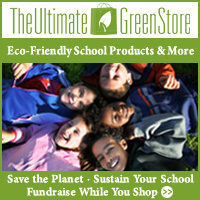 Check out my Earth Day Activities Board on Pinterest. From a young age, most kids are very active. They love to run around the house and play. It’s a lot for many of us to keep up with, especially if we haven’t been particularly active ourselves. But as they get older, TV and video games slow many down. Sitting around takes the place of active play. As a parent you know you should encourage more activity, but it’s not always easy to decide what to have your kids do. Signing your child up for an activity is an easy way to encourage activity, but it can also be frustrating for kids. Many parents choose activities for their kids based on what they would want to do, not the child’s interests. This can lead to frustration. Find out what your child would like to try. Don’t limit options to just team sports; there are a lot of alternatives out there. My own children love karate. It’s a good workout, and they progress at their own rates. There’s no guilt for not being the best player on the team. Don’t stress if they find they don’t like a particular sport or activity. Just agree to try something different next time. Swimming, karate and dancing are all good activities, and don’t have to be done on a competitive level. A big mistake many parents make in signing their kids up for activities is forgetting that they’re children. Parents can expect their child to put in unreal amounts of practice in the hopes that they will excel. Some parents have dreams of their kids going into a professional career in whatever sport they’re playing as an activity. It doesn’t matter what your dreams are for your child, or even if he or she agrees that they want to do their sport professionally. As a parent, it is your job to make sure that they don’t do more than is good for their bodies. That means no over training. That means leaving time for other things in their lives such as playing with friends and relaxing. Overdoing is a huge mistake. Children can permanently injure their bodies trying too hard in their sports. Their bodies are still growing and really are not ready for intense training. Don’t be the screaming parent watching your kids either. You’ve probably heard the reports of parents getting into fights at their children’s games. Your job is to encourage your child. You don’t need to do that by yelling at them, their teammates or their competition. You’ll do better to teach good sportsmanship. There’s no reason why you shouldn’t be getting active yourself. It’s better for your health to be active, and you’ll probably have fun. This is a wonderful, non-materiel gift you can give your children. Participating in an activity creates great memories, which will be remembered for many years. It also helps to create healthy habits. How involved you get depends on the time you have available. You don’t want to overdo it – kids need to learn how to do things on their own too – but you should be there to help them practice sometimes and as needed to get them to their activity. It also might help you to remember how much fun being physically active can be.